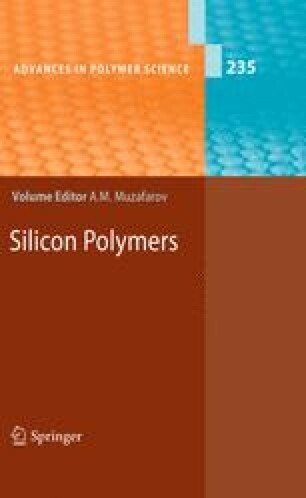 Modern Synthetic and Application Aspects of Polysilanes: An Underestimated Class of Materials? Polysilanes can be synthesized by various methods still lacking satisfactory product control in respect to quality and purity. Nonetheless polysilanes are promising in a number of applications like e.g. organic electronic devices. This review summarizes recent progress in the synthesis and possible applications of polysilanes.